Do you wish for more joy, connection and vitality but feel limited by your past or hidden unconscious belief systems? Do you long for a sacred union with your self, with Spirit and with the world? I would be honored to guide you back home to a very human life that resonates with your personal truth. I hope to partner with you in creating a sacred life of goodness, peace, soul fullness, freedom, vitality, and joy. I have created my Sacred Self Coaching Program with the intention of inspiring people to reclaim their birthright. I am able to offer this work after years of personal struggle, healing and growth. 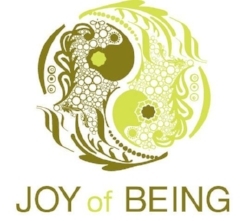 Joy of Being is a journey we are all on. May it be so! We will explore together in an unconditional and radically honest space, your relationship with yourself, the world, and with Spirit. Our inquiry begins with your willingness to share how the past is experienced in the present moment. We examine the individual self lovingly with the intention of strengthening capacity and creating solid practices that ultimately lead to the experience of the witnessing self. Embracing your unique gifts and personal journey, honoring yourself as a vulnerable human being, and reconnecting to the natural world are the cornerstones of our work together. Together, we will access all parts of your self to move towards the witnessing self through 10 or more sessions. We cannot truly reach the clear experience of our higher selves without claiming and reintegrating all parts of ourselves. Our work will be fundamentally holistic for this reason with a focus each session on mind, body, emotions, and spirit. Some individuals will need more than 10 sessions. We can co-create a program that is flexible and meets your needs and comfort level. We will explore limiting belief systems and their impact on the mind in order to become more in tune with reality and dissolve distortions and projections. We will use archetypal and intuitive information as a window into your being and psyche. You will familiarize yourself with your personal current archetype and the parts of yourself you may be unconscious of. We will spend time balancing your body somatically, releasing emotions and tensions from the pain body through massage and energetic bodywork. We will embark on a journey together to reclaim possible soul fragments and for the purpose of an overall healing and restoration. We will create a nature ritual or use art as therapy for further releasing and claiming of birth right. Together we will create a sustainable daily practice to strengthen self and maintain witnessing self awareness and humanness such as prayer, meditation, ritual, mantra, grounding etc. Each individual will cocreate with me a personalized daily practice based on their desires, calling and intentions. "Wherever you go, east, west, north or south, think of it as a journey into yourself! The one who travels into itself travels the world."